The OSGi EG meetings have been taking place in Portland this week. Last night a number of the OSGi chairs and experts presented on several OSGi topics at a meeting arranged by the Portland JUG and kindly hosted by New Relic. The organisers have made available a video recording of OSGi Alliance CTO BJ Hargrave presenting 'What is OSGi?" and you can find this below. 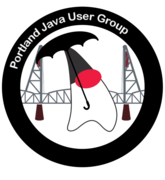 Thanks to Portland JUG and New Relic for hosting us and recording this session. The OSGi Alliance is holding the first face to face technical Expert Group meetings of 2017 in Portland next week. Thanks to Oracle for hosting these meetings. The meet up is kindly being held at New Relic's office in Portland (Map). You can find full details of the agenda, whose presenting and how you can register for the event at the meetup page. The OSGi Alliance is pleased to be an official partner of IoT Tech Expo Global 2017. This is taking place at Olympia in London on Monday and Tuesday next week (Jan 23-24). Christer Larsson, OSGi Alliance VP EMEA will be representing us at the conference. Christer is taking part in two sessions in the 'Developing for the IoT' track. There is still time to register if you haven't already got your ticket and the great news is that you can attend the 'Developing for IoT' track with the FREE Expo Pass. This also provides you with access to the 'IoT Innovations & Tech' track. There are another 5 tracks available too, although the tickets for these have a fee. To get your FREE Expo Pass please register here. You can also find details about the fees for the other tracks here too. On Monday at 13.40 hrs Christer is participating in a panel discussing 'Interoperability as the key to success' along with representatives from IoT Council, CCS Insight, HomeGrid Forum and BT. Then on Tuesday at 10.20 hrs Christer will be discussing the topic of 'Creating a Standards Framework for IoT' with IPSO Alliance, oneM2M and Global Platform. This is the 2nd year that the event has been held in London and the track content will include solution based case studies and discussions about IoT and the evolving ecosystem from over 200 leading IoT experts and speakers across the 7 tracks. There is also an exhibition with over 100 exhibitors. It looks set to be a packed and enjoyable two days of IoT activity to kick start the new year.